"PDT's end goal when working with our clients is to create strategic innovations that connect the dots between technology, the stakeholder community and positive bottom-line results," -Erik Moses, PDT’s Director of Insights. PDT’s Director of Insights and PDT’s User Experience Director will be attending The Back End of Innovation (BEI) Conference November 18-20, 2013 in Santa Clara, California. An event by the Institute for International Research (IIR), BEI focuses on the execution of innovation strategy, with the ultimate goal of growing company profit. "PDT's end goal when working with our clients is to create strategic innovations that connect the dots between technology, the stakeholder community and positive bottom-line results," says Erik Moses, PDT’s Director of Insights. “We are looking forward to learning and collaborating alongside other like-minded professionals who are influencing product development and innovation." 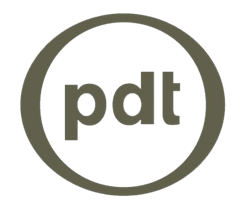 PDT is a global, full-service product development firm with 130 employees in eight offices worldwide. Team members have expertise in a wide range of product development disciplines, including strategy, scouting, design research, industrial design, user experience development, mechanical and electrical engineering, software development, and sourcing. PDT’s award winning product designs have been recognized with more than 60 awards from authorities such as BusinessWeek, Fast Company, the Industrial Designers Society of America and The Consumer Electronics Association.